(born 16 November 1958) is a Norwegian author, lawyer and former Minister of Justice. 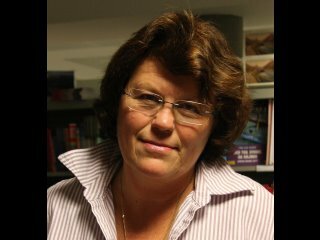 In 1993 she made her debut as a novelist with the crime novel Blind gudinne, featuring the lesbian police officer Hanne Wilhelmsen. The two novels Løvens gap and Uten ekko are co-authored with her former state secretary Berit Reiss-Andersen. Her 2015 novel Offline is about a terrorist attack on an Islamic cultural center by a group of extreme Norwegian nationalists. She is one of the most successful crime novelists in Norway. Val McDermid, a Scottish crime writer, has said that "Anne Holt is the latest crime writer to reveal how truly dark it gets in Scandinavia.